So, I've been talking with Hood the last few weeks, and unless there's an objection (or someone knows where Foxy went), we're going to take on getting Australia back up to speed. It's going to be something of a shared custody arrangement, mostly because the reasons I've been inactive the past few years are still in play. Plus, narrative and writing has never been my strong suit, and I just don't have the ability to keep up with the way the news reports have evolved over the years. so most of the news and long-form writing is going to be coming from Hood for the whole Commonwealth, while I'm going to work on getting the game mechanics for Oz (Industry reports, ship designs, etc) back up to speed and continuing to manage the same for Canada. It will be good to see something happening in that quarter of Wesworld. I'm quite happy with that. At various times in the past, I'd thought about whether or not to address the issue; but I have enough on my plate, and didn't want the effort of trying to figure out Australia's records. How far astern are Australia's reports? Foxy's last report was for Q1/1945. I can't promise quick results, but I'll be working on converting some of his stuff into the same kind of formats I use for Canada. Eh, I'm not too worried about quick results; after all, I've fallen behind on my reports as it is. 'Legible' is good enough for me! I've found an oddity in Oz's infrastructure; Some basic research says that Cockatoo Island should have two drydocks (built pre-1920), whereas foxy's reports only have slips. I'd like to revise the existing Type 3 and type 2 slips to the historical Fitzroy and Sutherland docks. I suspect Foxy hadn't listed them as docks. I remember loaning him use of a drydock in 1944, I think a Type 3. I'm easy either way if its purely a mistake from when the sim was set up. I have vague recollection Foxy wasn't the first Australia player. This seems to indicate that while the historical dry docks at Cockatoo Island have never featured in Wesworld, there is no shortage of dry docks in Sydney. Moreover, if the re-designation of the Cockatoo Island facilities from slips to dry docks were to go forward, it would result in a serious shortage of building slips; unless, that is, the existing dry docks located at Sydney were redesignated as building slips – which would be an unnecessary complication in the flow of the game. The error goes back to game start with Gravina’s placement of infrastructure. That said, if the general consensus is to permit the change, I won't object - I just don't see it as necessary. Thanks Bruce, that analysis paints a clearer picture. I agree, given the already large provision of docks I think it makes sense to retain them as slips. OTL Australia had a very small shipbuilding industry and so most of the historical infrastructure would have been docks when the sim was set up. So it made sense to switch some to slips when Gravina drew up the original list otherwise Australia woudl have struggled even worse with construction. Since there has been little investment in new facilities, it makes sense to keep them as slips. I think I tend to agree with Bruce and James that they should remain slips, since that seems to be consistent all the way back to the beginning. I would not be opposed to flipping the Cockatoo Island and Sydney infrastructure if there's consensus for that, but I think at this point it's better to leave it alone. Although I certainly feel plenty of temptation to make infrastructure align with the historical facilities! I think France would probably double its current infrastructure both in slips and drydocks, at least on the lower end. When I look back to the baseline Empire and Commonwealth infrastructure reportThis seems to indicate that while the historical dry docks at Cockatoo Island have never featured in Wesworld, there is no shortage of dry docks in Sydney. Moreover, if the re-designation of the Cockatoo Island facilities from slips to dry docks were to go forward, it would result in a serious shortage of building slips; unless, that is, the existing dry docks located at Sydney were redesignated as building slips – which would be an unnecessary complication in the flow of the game. The error goes back to game start with Gravina’s placement of infrastructure. I don't understand the concern or relevance of a "shortage of slips", considering there's nothing a slip contributes that a dock doesn't. I also don't understand the objection about the "flow of the game", as the only substantial change this will incur is how I write up the industrial reports moving forward, and any future narratives are written, again, by the Australian player. There's no extensive backtracking or backdating required, since Foxy never wrote any narrative featuring them in either capacity, and no industrial adjustments required since whatever activity they did as slips could also be done as a dock. It should also be noted that initial UK Infrastructure report is also missing several facilities that Canada was awarded when I started playing there (by some, I mean about half). 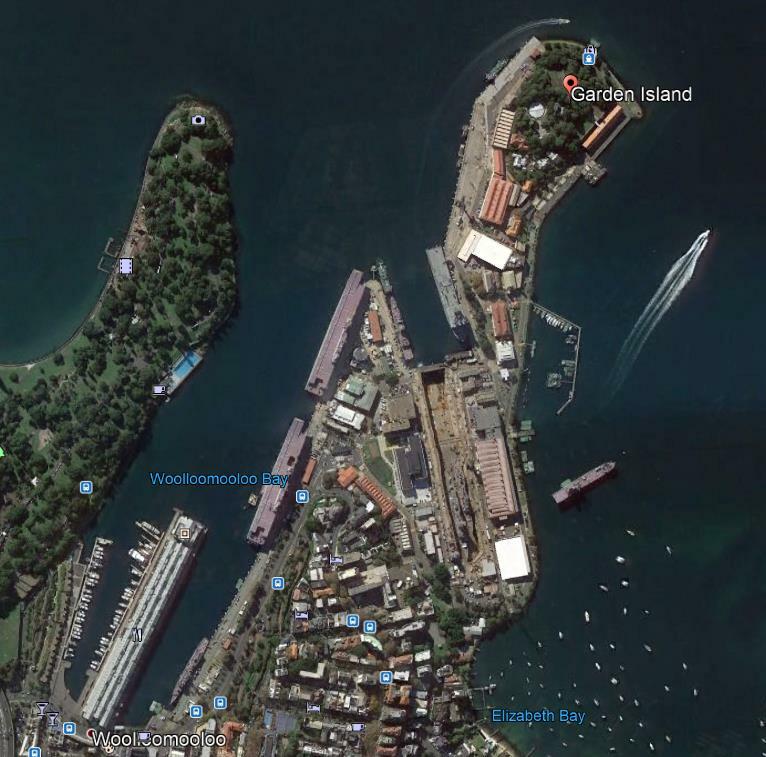 Cockatoo Island is also in Sydney, and at least one of the other docks in Sydney is the historical Captain Cook Graving dock, so it's not a matter of their location being confused and swapped. I don't understand how or why the oversight was made when Foxy set up Oz, but when I set up Canada, the infrastructure was based on historical docks and yards, which took a lot of digging to find information on; these docks are all far more prominent, all of them built and then again upgraded in the pre-sim period to support RN operations in the region; their absence does not make sense, since no corresponding facilities exist to replace them, despite the RN's activity in the region more or less being historical. This isn't France or the USA, where scouring maps and adding all the small civilian docks and yards will enormously expand capacity, it's revising two facilities to match historical records for a country that, to be blunt, has had it's infrastructure sorely neglected. Despite the same industrial capacity, Oz has about half the dock and slip capacity as Canada does, and most of those facilities are smaller and much less useful on top of that. Foxy built a lot of stuff in the 30s that now need refurbishments, and I'm having trouble finding a way to do so efficiently (And in fact, it seems like Foxy's last activity on the board was a dispute about him trying to rotate all his destroyers through one drydock). My major solution to this is going to be a round of infrastructure development put into Oz's backdated reports, but this adjustment will ease and assist that process. It seems that Gravina probably switched them from docks to slips in order to boost the slip situation at the start of the sim. This decision would reverse that. There is little difference between slips and docks for construction, but the latter are more valuable as they can be used for repairs too. Of course, if you the docks were blocked with repairs and refits then Australia would be rather short of construction capacity. The only consideration is to whether correcting the slips back to docks corrects an earlier conscious attempt to game the infrastructure set up. I'm not vehemently opposed, the change could have benefit for 5 sim years, so is a useful change with utility. In sim terms, I don't think the switch would make any difference to the history of the sim in any fundamental way. Given that Australia is 15 quarters behind the sim, there is arguably time and resources to allocate to new infrastructure as well. I can't really speak to what the intention was when Oz was set up, and whether it was even an intention or an oversight; it was before my time, and most of the people involved are no longer around. I do know that it doesn't really square with my own experience when Canada was set up, which involved including as much historical infrastructure as possible. It does seem to have not been in Oz's best interests, since as you've said, Foxy occasionally needed to borrow other people's docks, which is not an opportunity I'll have until I get things caught up. I'm not too concerned about a dock being occupied and preventing construction; maintaining what you have should be prioritized over building new anyway. As I said, infrastructure improvement is one of the plans I have in mind. Still, that's an expensive undertaking, and this revision would help get things more in line with where I think Oz should be. Slight edit, I found the PM and Foxy asked for a slip, not a dock. I think at the time his Type 3 dock was busy. To be honest, I've no objections and I vote for the change, its not the most major change we've ever made in WW. To be honest, I'm still a bit confused what exact change is being proposed here. Can you clarify? 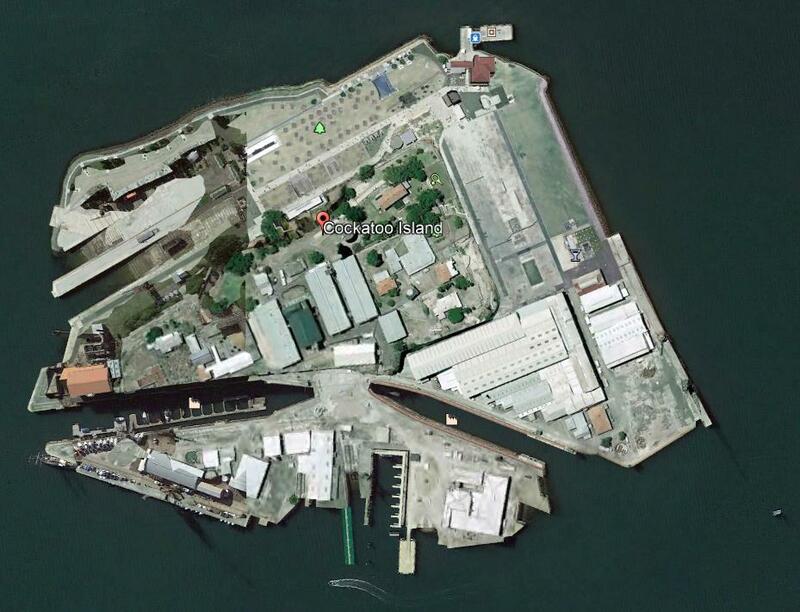 From what I can determine, the Type 3 slip at Cockatoo Island should be the historical Fitzroy Drydock, and the type 2 Slip should be the historical Sutherland Drydock. The Cockatoo Island facilities were mostly convict-built, and later supplemented in the 30s by new facilities at Garden Island (Including the Captain Cook Graving dock), which became the main base for the RAN. The adjustment would update the Type 3 and Type 2 slips at Cockatoo Island to Drydocks of the same size. I'm not in favor of that change at this point in time. Yes, I recognize that it is a historical facility, but it's been as-is for 28 sim years without any comment (well, I guess 25 for the AUS timeline). In many cases, I have had to suffer through the same sort of bottlenecks as I reorganized infrastructure to account for my needs. On two occasions, I've moved infrastructure that didn't make sense (for instance, slips or drydocks at places that have no harbors), but I don't think it's fair to upgrade slips to drydocks without an associated cost. - First, allowing the difference in IP to be spent to upgrade a slip of one size into a drydock of the same size. So the S3 slip could be upgraded to a D3 drydock for 1 IP, rather than building a new drydock from scratch. - Second, ruling that any Type 0 or Type 0.5 slip is in fact a marine railway, able to pull ships of the appropriate size out of the water for work that would otherwise demand a drydock. In the interest of fairness, I'd make those rulings universal for the entire sim. First, allowing the difference in IP to be spent to upgrade a slip of one size into a drydock of the same size. So the S3 slip could be upgraded to a D3 drydock for 1 IP, rather than building a new drydock from scratch. To upgrade a slip or dry-dock, simply expend industrial material points equal to the difference in cost between the item’s current type and its eventual type; up to 1.5 pts may be placed into the item per quarter. For example, a Type 1 slip would require 1.0 pts to upgrade into a Type 2 slip. What your are proposing seems reasonable and which fits the spirit of the existing upgrade rule and would still work out cheaper than a new floating dry dock. I'm surprised we had never covered that before in the rules. Second, ruling that any Type 0 or Type 0.5 slip is in fact a marine railway, able to pull ships of the appropriate size out of the water for work that would otherwise demand a drydock. While that is entirely logical, that's a massive change to how the refit rules were written. It would of been of great utility to all players and may well have prevented some players having wasted IP on fixed Type 0 docks (I haven't audited how many, if any were built, but I'm assuming some must have been). Floating Type 0 docks have utility anyway because they are movable. That feels like a rather advantageous rule change that would have been great earlier in the sim, but with 2 years to go left it feels a waste of time to change the rule to allow Type 0 major refits on slips. However, getting back to Shin's request, I don't see any advantage at all. We could easily say those slips were always docks from 1 Jan 1920 in SIM terms and it would have no effect at all. All the ships built on the original slips could still have been built in those docks and if nothing got refitted in those intervening years 25 sim years then there is no advantage at all. Historically it changes nothing. Admittedly it changes future behaviour but its hardly a freebie and with only 5 sim years left for Oz its not a great advantage. I would argue its less of a change than moving infrastructure around the globe. I'm not sure Foxy realised what the historical set up was, and since no infrastructure development took place, I'm not sure it was a subject close to his heart. Also, we're still down to 4 active players, and very close to the end now, I'm not sure it really matters. We're just trying to keep Australia ticking along rather than falling into the black hole that 90% of the other now NPC nations have fallen. It's no game changer as far as I can see.